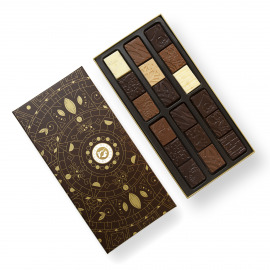 The Planète Chocolat education pack contains knowledge that travels in a gourmet way! 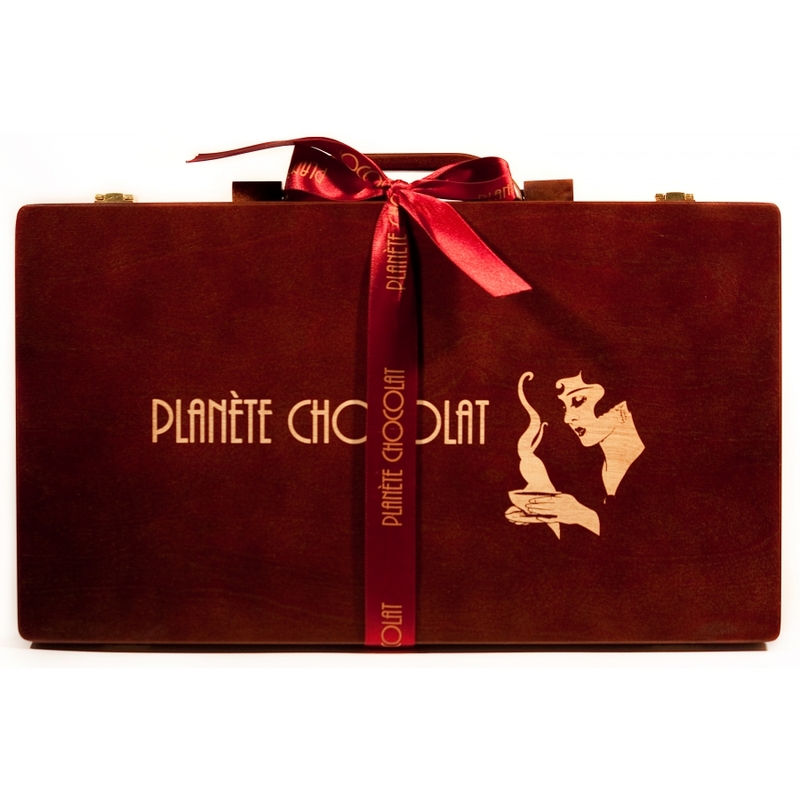 The Planète Chocolat educational case is the perfect travel companion! 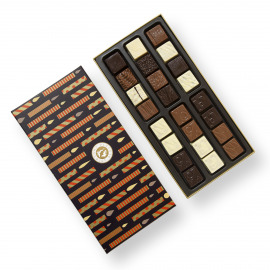 Dive into the history of this refined product and give anyone, young or old, a gift box containing some succulent Belgian chocolates! 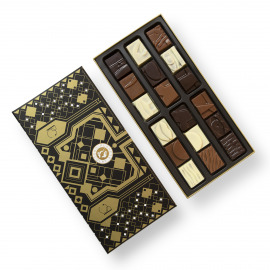 In addition, your recipient will especially enjoy the picture booklet explaining the incredible history of chocolate, from the Aztecs to the present day! 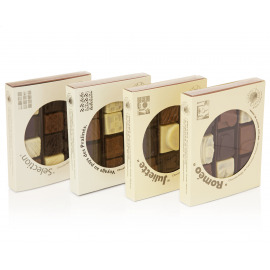 Learn while savouring delicious chocolate. From King Montezuma to the conquistador Cortez, from America to Spain to the French Court: discover the journey of a gourmet product that is a treat that everyone enjoys today. 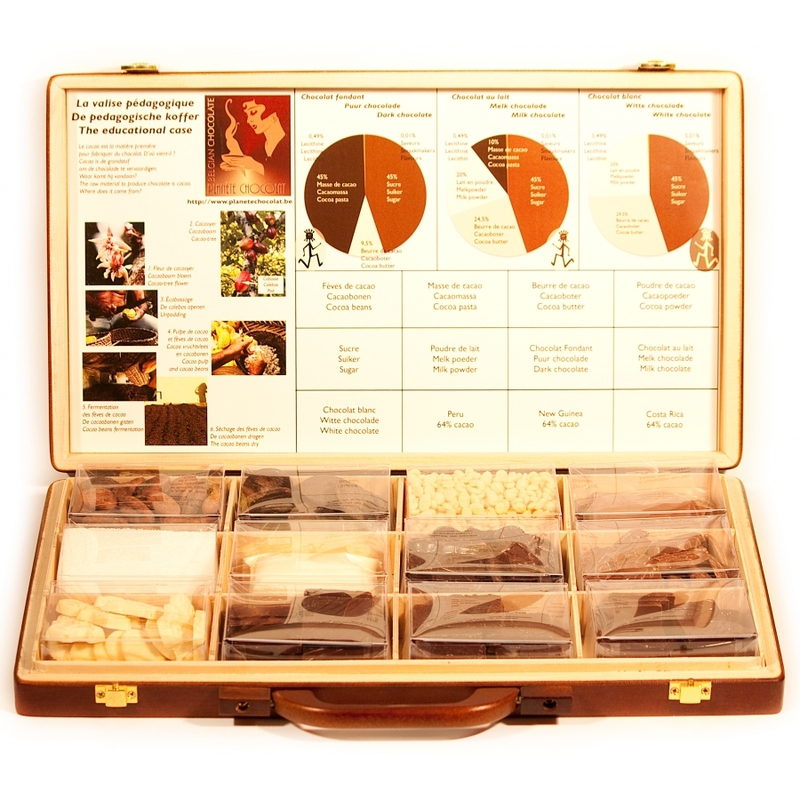 An original teaching tool, this educational suitcase, truly a box devoted to savouring delicious tastes, is the ideal charming little gift. Add a personal note to your gift for the attention of the recipient. 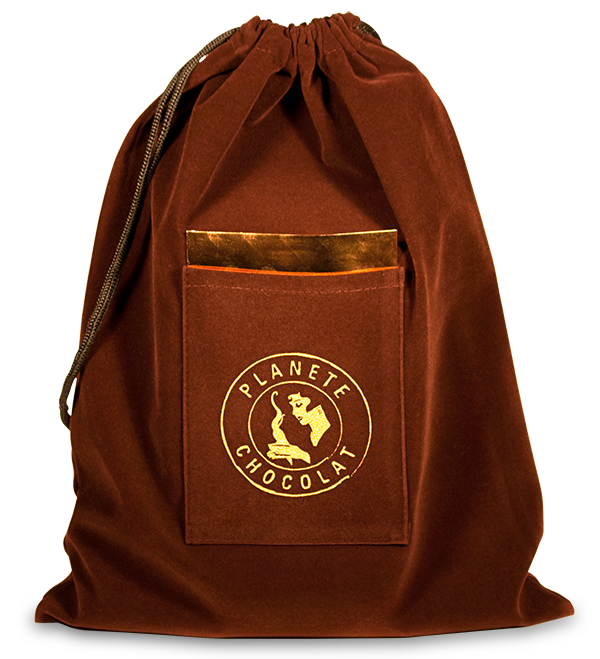 The note and envelope will be placed into the pocket of a luxurious bag made of chocolate brown velvet.